Hello again, wow what a lovely day here in Lincolnshire, the sun is out and it's not long until theses new stamps and folders will be out!!!. So here is another sample for you. It's using the new arches, flowers, and leaves stamps, also another gorgeous embossing folders. I love the rich colours in this one. Hope you like it too, and there will be another one to see tomorrow. 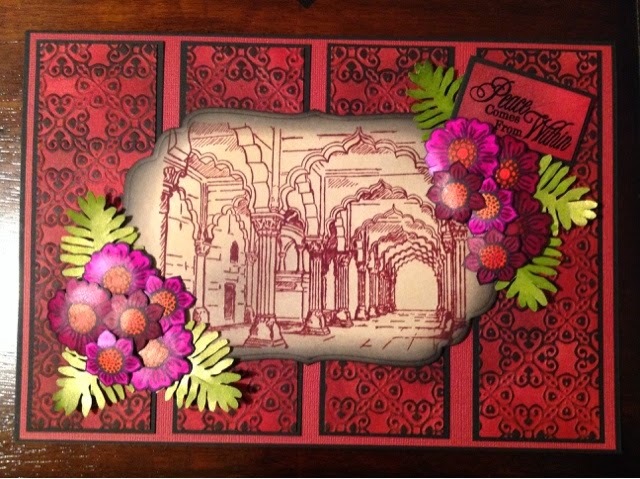 Beautiful card Caroline, love the embossed background and the fabulous arches.